WinRAR 5.50 was released on August 14, 2017. The new version comes with important changes that users of the application need to be aware of. Probably the two biggest changes of WinRAR 5.50 are that the program uses the RAR 5.0 archive format by default when it comes to the creation of archives, and the new master password option to protect saved password records by using encryption. The RAR 5 archive format was introduced in WinRAR 5.0 which the company released back in 2013 to the public. It was not set as the default back in 2013, and users of the program had to change the program's configuration to make it the default. Tip: Find out how to identify RAR5 archives. This changes with the release of WinRAR 5.50. RAR 5 is the default format of WinRAR 5.50 and newer versions of the program. Most third-party programs that can extract archives support the RAR 5.0 format, and this is likely the reason why it has been made the default in WinRAR 5.50. Open WinRAR on the system. Select Options > Settings from the menu. Switch to the Compression tab. Select RAR4 under General to make it the default. You may make ZIP the default as well. The second new feature of WinRAR 5.50 is the option to set a master password. Select Options > Settings in WinRAR. Select Set master password when the organize passwords window opens. You are asked to enter and confirm a password. This password protects saved password records from unauthorized access. Passwords stored in the password organizer of WinRAR 5.50 are not readable in older versions because of a new data format that is used. A prompt to set the master password is displayed when you are storing a password in a compression profile. Support for the .lz archive format. LZ and ZIPX extensions added to integration list under Settings > Integration. WinRAR uses AES-256 encryption to encrypt ZIP archives. This may cause incompatibility with older unzip software, and if you want to avoid this, you may enable ZIP legacy compression in the password dialog to avoid this. WinRAR supports PAX headers and uses them when extracting TAR archives. High Precision Modification Time option is replaced by High Precision Time Format. Settings > General has a new "full paths in title bar" option. Settings > Compression has a new "file types to open as archives first" option to define what a double-click / Enter-key initiates on non-archive extensions and archive content. File menu has a new "copy full names to clipboard" option. WinRAR context menu has been optimized. 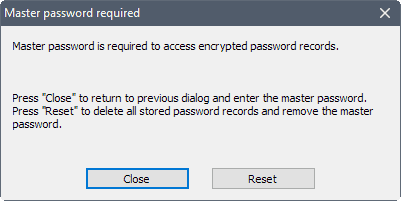 WinRAR prompts to re-enter a password if the first entered password to extract an archive is invalid (it exited before). You find the full list of changes in WinRAR 5.50 on the official website. There you find downloads for all supported operating systems. Now You: Which file extraction and archiving software do you use? Still unmatched, no I’m not a shill, when 7z starts letting you add recovery data to archives to prevent corruption, then maybe I’ll switch to it. And to the same old people who keep bringing up the UI whenever WinRar is talked about, because there is always that one guy… try taking your head out of your *redacted* and look for some skins. Because it looks great on my end. Peace out. Lovely, thanks for the info. 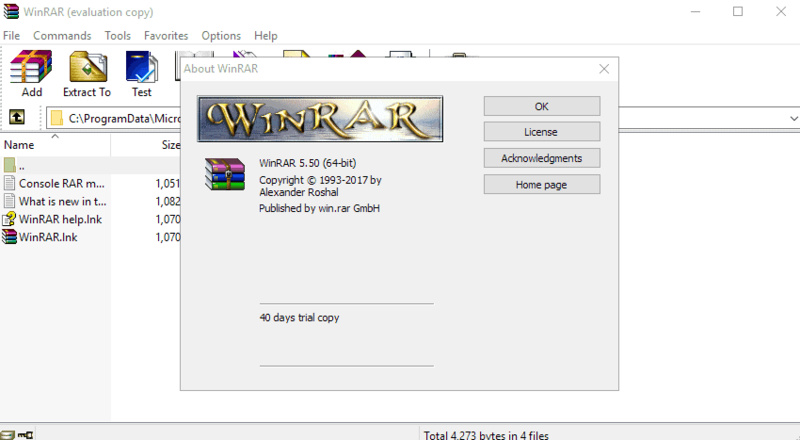 A fan of WinRAR many years now. Lol, try to unzip/test a large .7z archive. It takes nearly forever. The reason why you’re paying for a WinRAR license coz .RAR is superior to .7z in every way imaginable. What does that have to do with ones choice of compression software. You know that most of the alternatives support RAR too? Look up the Tom’s Hardware “compession benchmark” of 7zip vs. RAR for some stats on the best format. Just popped by to say: Bandizip fanboi here. Yes, I’ve been using Bandizip for a year or more, I like that it’s completely free and unlike WinRAR doesn’t nag you for a licence. Nothing is free, Bandizip makes money off of users data like telemetry like most “free” products nowadays, like any “free” Anti-Virus software, Pirforms Speccy, Discord. LOL if you think they are “free”. Also Bandizip doesn’t even develop their own archive format. It’s like using a browser whose rendering engine is developed by somebody else. So? I think both Opera and Vivaldi are good browsers and they do not develop a rendering engine, how would that affect the quality of the product? I can’t speak to the telemetry thing as I’m not as familiar with Bandizips under the hood workings, but I’ve heard nothing about it being a malicious program (unlike Windows 10 as a whole) so I can’t really comment here. WinRAR here. Does anything else parse a folder structure and only archive files with a newer than specified modified date/time? 7zip has a ton of command-line elements for some very specific archive functions but I can’t find anything that updates by date apart from “newer”. Using WinRAR for some time now, does the job well and integration within UI is perfect. Staying with v4.20, I won’t update. Switched from 7-Zip to Bandizip for one reason only: To extract archives automatically. “When you choose an archive file and click the right mouse button, there is the ‘Extract Automatically’ menu. It will function like below. If there is only one file/folder in an archive, it will extract to the ‘Current Folder’. The original and still the best, WinRAR. Personally I won’t change to another program, WinRAR has always been my favourite archiver, although I wish they would maybe update the look of the extraction dialog, it has been the same for so long and it reminds me of Windows 95. I have switched to using RA5 for all my compression needs too, it is superior in most tests I have done, and the CLi in WinRAR is extremely powerful. Long time WinRAR user. Was wondering when encryption would get bumped up. I believe it still needs brute force, just to be sure. None of the file archiving programs are enough by themselves to provide the features and functionality that I use. I don’t like WinRAR GUI, so I use an old version of Izarc because subsequent ones were bundled with craopware/spyware with no opt-out options. Moreover I have 7-Zip portable version. Quite fond of PowerArchiver for installed ops, and its scheduler is excellent, particularly for date-based archiving. WinRAR’s compression ratios have always been excellent but I’ve always worried about compatibility and portability and never bitten the bullet. 7Zip’s a good fallback for basic stuff, particularly where it’s someone else’s PC :) although the UI badly needs an overhaul. I tried IZArc a few years back but it failed badly when the number of files to be archived went into four figures and I abandoned it. I occasionally miss ARJ, though — never found a commandline archiver to touch it, but it’s too niche. I used to use ARJ all the time in the MS-DOS days, I remember all the 1.44mb files and inserting the next disk to continue like it was yesterday, but I don’t think that I have used it since. AES256 encryption was present in prior RAR5 versions too. The change in V.5.50 is the mode of operation – it was before a CBC mode, and now it is changed to CTR mode (per RARLAB’s release notes). While CTR mode may avoid some padding vulnerabilities that maybe present in CBC mode, if not implemented correctly, it does place very stringent demands on the quality of the NONCE acquisition process. I suggest to let the version to be “baked” a bit in public hands before relying on it for encrypting highly sensitive material.